This is one area that is really critical to the development of this country. This action must be commended. When I saw it, i felt obliged to share it with you and discuss it. Please take a read. THE Federal Government has given State governments autonomy to produce own power so as to ensure improved power supply in the country. It said this is because nothing in the Electricity Power Sector Reforms Act EPSRA deter States from doing such. Speaking at the 18th monthly power sector operators meeting on Monday at the Kumbotso transmission station, Kano State, the Minister of Power, Works and Housing, Babatunde Fashola said interested States must obtain the necessary permit and licenses from the Nigerian Electricity Regulatory Commission (NERC) depending on the areas it wants to invest in. His words; “Let me also make this point clear today, I have heard statements made that State governments should be allowed to produce their own power. “The truth is that there is nothing in the Electricity Power Sector Reforms Act that stops any state from doing so, so the only thing they must do is to get NERC’s permit and licenses depending on whatever categorisation of investment they want to do whether it is distribution or generation. The Minister also disclosed that unlike in 2015, there has been improvements in power generation in the country. He said this is as a result of government’s efforts in the areas of repairs of pipelines and gas supply. According to him, the continuous attack on pipelines in 2015 had led to poor generation adding that this reduced in 2017. “We have made some progress with generation previously, unlike in 2015, damage to gas pipelines and assets has reduced in 2017, this is as a result of government’s efforts and significant progress is now being made with the repairs and supply of gas. In his explanations, he said as at 3rd of August, 2017 the total available power which can be put on the grid was 6863MWs while the transmission capacity has risen to 6700MWs. However, he lamented the inability of distribution companies to take-on power describing this as ‘load rejection’. He blamed this on old assets inherited, bad debts that has continued to hamper DisCos’ access to credit, insufficient investment by DisCos among others. 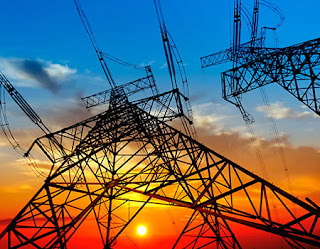 “We have a new problem and that is inability of DisCos to take power and sell power, but there many reasons for this, old assets inherited, insufficient investments by them, and other factors. In another development, the Nigerian Electricity Regulatory Commission (NERC) also launched the mini-grid regulations designed to serve unserved and underserved communities in terms of availability of power. Presenting the regulations at the event, the NERC’s Vice Chairman, Sanusi Garba said this will cover customers in communities who are not captured in the 5-year development plan of the distribution companies (DisCos). He said: “The NERC took the initiative of developing a regulation to remove some of the impediments that have sold private investments in rural electrification and the regulations provide for cost reflective tarrifs for investors and on the existing tariff methodology.